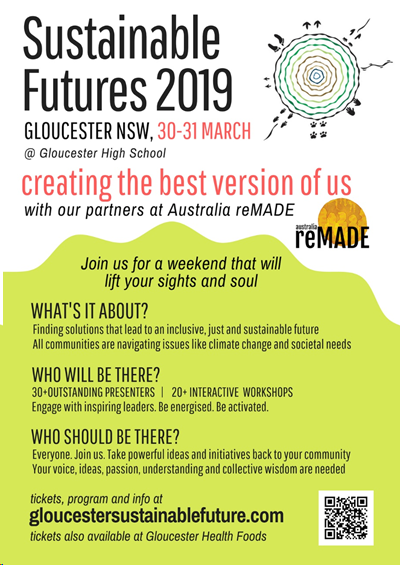 Come to beautiful Gloucester on the weekend 30-31 March and get immersed in active hope!!!! 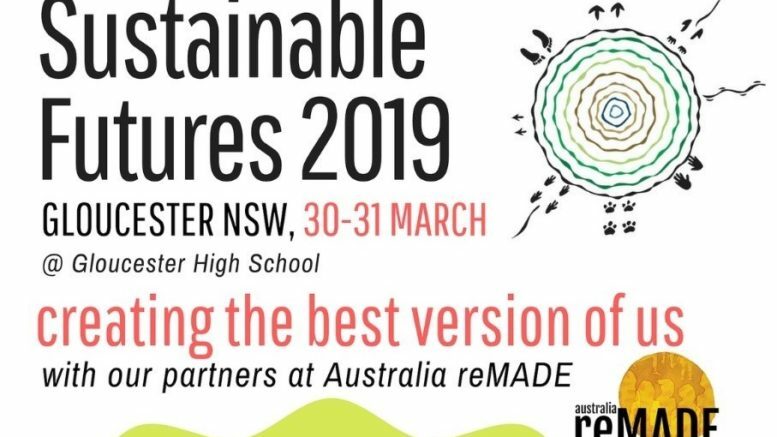 Our Sustainable Futures Convention is based around the Australia Remade vision Presenters, workshops, programme, information, and tickets at 2019 Sustainable Futures Convention Limited tickets. Ticket sales close on Monday 25 March for catering purposes Buy tickets here Tickets Sue and Julie – Sustainable Futures Committee. Be the first to comment on "Sustainable Futures Convention 2019"